SIGMA IS DESIGNED TO ENGAGE IN A DIALOGUE WITH THE VIEWER, TRANSCENDING CULTURAL BARRIERS AND STIMULATING IMAGINATIONS. Sigma further explores these dialogues and showcases the multiplicity between Bharatanatyam dance, juggling and percussion. 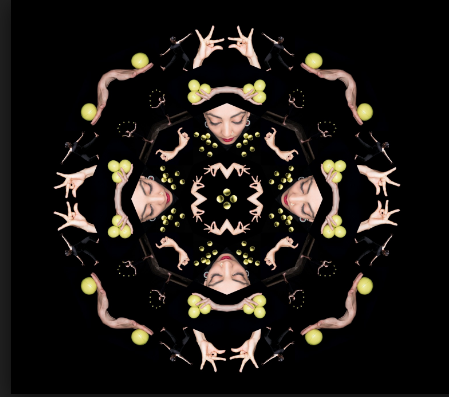 Developed in partnership with award winning choreographer Seeta Patel, the highly skilled cast (dancer Indu Panday and Kati Ylä-Hokkala & Kim Huynh - pioneering jugglers from Gandini Juggling), the work investigates classical Indian geometries, mathematics, and rhythm by looking at similarities and differences, processes and choreographic architectures. There is also a focus on the parabolic accelerating velocity of objects in the air versus the more subtly changing speeds of the dancer and the underlying Carnatic musical structures. The human side of the collaboration transcends the pure structure and looks at invented ethnologies and imaginary rituals, when both Bharatanatyam and juggling come with a myriad of associated archetypes.